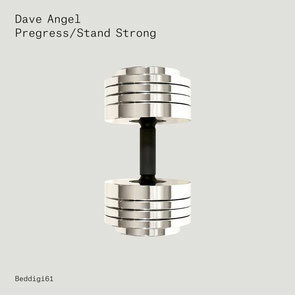 Dave Angel returns to Bedrock with a new single. Dave is becoming a regular highlight on the label, his remix of Marco Bailey’s ‘Rubber Band’ in 2011 was apparently hailed as a pure master-class in techno genius, ‘Harlequin’ was a 2013 highlight, ‘Keep It’ lit up the Underground Sound of Miami, and his ‘Voodoo EP’ made 2014 an even better year for techno music. The powerful, bubbling throb of ‘Progress’, overlaid with the snap and hiss of percussive hits, interspersed with teasing vocal snippets and subtle euphoric synth swells, is a good formula. Meanwhile, ‘Stand Strong’ oozes a powerful, darker energy, with a breakdown of big proportions. Both tracks demonstrate exactly why Dave may remain such a driving force today, having evolved and matured stylistically over the years, since his early techno outings more than two decades ago now. The son of a jazz musician, Dave’s first musical instrument was a drum at age of eight, so it’s no surprise that he developed an ear for a good groove. Since entering the consciousness of the techno community in 1990, he has pretty much remained there ever since. Although he’s London born and bred, he has been making records like he's from Detroit with a distinctive twist of funk and jazz for years.